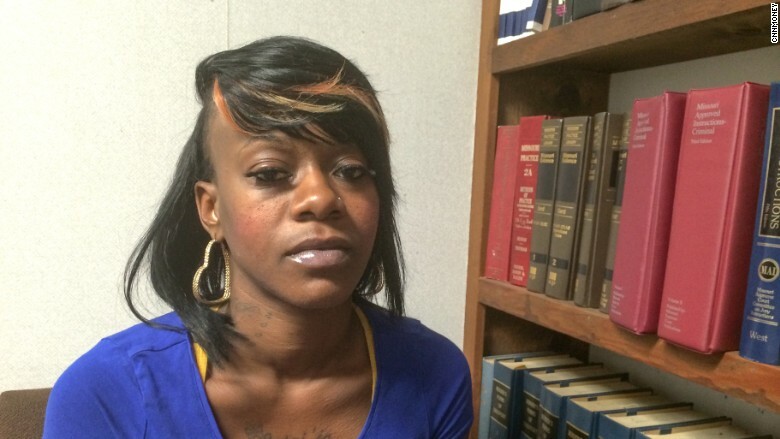 Marilyn Todd is paying off traffic tickets from nearly 12 years ago and has faced arrest in several St. Louis towns. Even in the wake of nationwide outrage over policing for profit, many low-income and minority residents of St. Louis County continue to land behind bars over minor offenses. While the nation's attention has largely been on Ferguson, which has been embroiled in allegations of racial profiling, unfair ticketing, and unnecessary jailing over infractions that rarely pose major threats to public safety, the problems reach far beyond the city's limits. 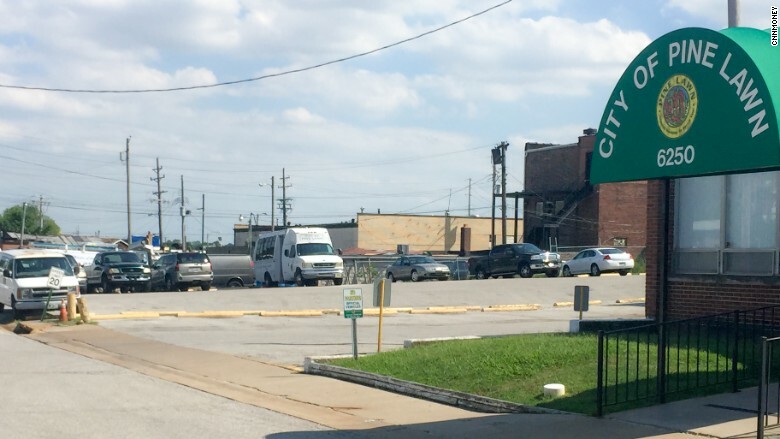 CNNMoney spoke to dozens of residents, lawyers and activists who say these practices run rampant in many of the tiny towns that are clustered together to make up St. Louis County, where court fines are a vital source of revenue. 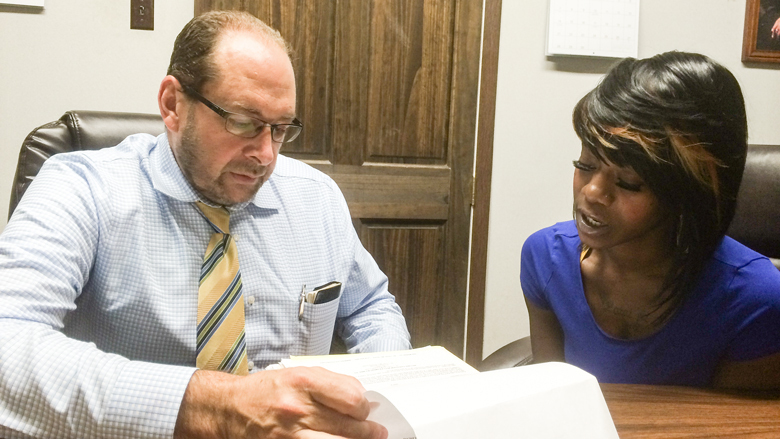 "This is just totally off the map -- it's not happening anywhere else," said Sheila Stuart, a St. Louis attorney. "This is an economic system based on poor people." The courts are small, but mighty. Calverton Park, a town of only 1,300 people, has already issued 725 warrants so far this year. Another town, Pine Lawn, hit more than 7,000 people with arrest warrants in the last year -- roughly double its population, according to state data requested by CNNMoney. 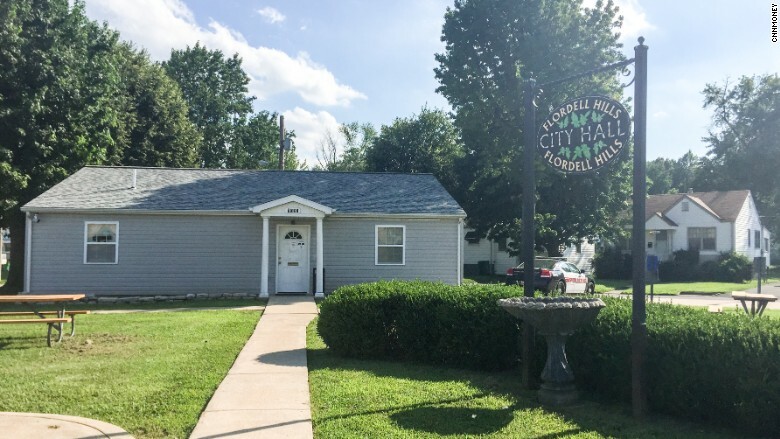 And the 800-person town of Flordell Hills, which spans only a few blocks, says it has 3,500 active warrants -- more than four times its population. Flordell Hills prosecutor Jeff Duke said that while this figure may sound high, the only reason the city is issuing so many arrest warrants is because people refuse to show up to court. Some warrants even date all the way back to 1998. While he says he is sympathetic to the cycle of poverty that makes it difficult for many people to insure their vehicles and keep their registration up to date -- two common sources of tickets in St. Louis -- he also believes traffic violators need to be held responsible. And arrest warrants are the only recourse cities have to get people to address their tickets. 800-person Flordell Hills holds court in a one-room building across from a vacant lot. "We're not doing anything wrong," said Duke. "The laws are in place for a reason." Walk down the street in many of Ferguson's neighboring towns and it's surprisingly easy to find someone who has been arrested over a small ticket. On a recent afternoon in July, a 25-year-old mother of two stood near the nondescript brown building that's home to Velda City's municipal court and recounted her recent horror story. While she was driving her kids to see the fireworks this 4th of July, she says she was pulled over and arrested due to an outstanding warrant she had no idea existed. The woman, who asked to remain anonymous for privacy reasons, later found out the warrant stemmed from a $75 ticket she had previously received for failing to have a sticker on her car -- which is required for residents of the 1,500-person town. 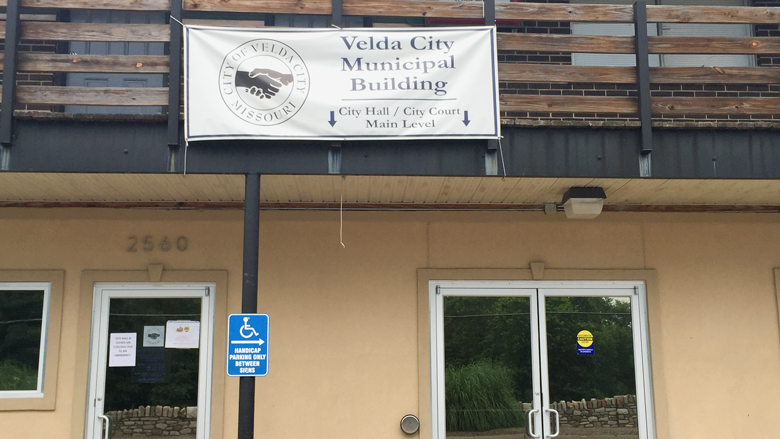 Velda City said that any ticket left unaddressed can turn into a warrant, but that this only happens after at least four months have passed and multiple court dates have been missed. It also noted that it has a new program where anyone with an active warrant can come to the police station and get a new court date without being arrested. "People must take responsibility for violating the law, no matter how 'minor' they feel it is," said police chief Daniel Paulino. Velda City's municipal building functions as both its courthouse and its city hall. A day earlier and less than 10 miles away in St. Ann, two young men emerged from a small brick courthouse. Between the two of them, Kendrick Patrick and Terry Waller, both 22, say they have visited St. Ann's jail more than a dozen times over unpaid traffic tickets like speeding and lack of car insurance -- which they feel have often been a result of racial profiling. City administrator Matt Conley said that while St. Louis may be home to some abusive courts, St. Ann isn't one of them. He disputed any allegations of racial profiling by the city's officers, and said that both men had multiple opportunities to come to court to explain their financial situations. Waller says his cycle of arrests started when he didn't have the money to pay his initial tickets and skipped court out of fear of being taken to jail. Patrick, who is studying to become a physical therapist, says his driver's license was revoked because of all of the tickets he had received, making it that much harder for him to pay off his fines and get his life back together. Even a local pastor, who asked to remain anonymous to protect his reputation, has been a frequent jail resident in many of these tiny towns -- at one point having active warrants in eight different places over dozens of tickets. Just this year, he spent almost a week behind bars as he bounced between four different jails. It's hard for him to count how many times he's been arrested in the last decade. He says these jail stints have been "torture" and wreaked havoc on his life, causing him to lose jobs, miss important events like funerals and be absent from family. "The system is horrible," he said. "You're in there for a traffic ticket but they treat you like you're a common criminal." Pine Lawn's court sits off a stretch of highway full of pawn shops and subprime lenders. While a traffic ticket would rarely be punished with jail time on its own, an arrest warrant is typically sparked when someone misses court hearings or fails to pay the fines they owe. Cities say these warrants are one of the only tools they have to get people to take responsibility for their tickets. However, CNNMoney spoke to several people who said that they were trying to settle their debts, and the warrants were issued as soon as a single payment was late. Some Missouri lawmakers have started taking action, passing a new law that attempts to rein in the use of tickets as revenue generators in the future. The law specifically targets St. Louis County, prohibiting towns there from receiving more than 12.5% of revenue from traffic fines -- compared to a 20% cap statewide. This will likely prove to be a challenge for many municipalities, with a 2014 report from grassroots organization Better Together St. Louis finding that 21 towns in the county received at least 20% of their budgets from court fines and fees. Other changes include limiting fines and are aimed at keeping people from ending up behind bars if they can't afford what they owe. Amid the scrutiny, some cities have already started cutting back on new warrants or wiping out old ones entirely. The St. Louis County Municipal League, which represents the majority of the county's 90 municipalities, said it couldn't comment directly on the allegations of policing for profit against many of its members. And while the organization is generally supportive of the new law, it argues that the cap on traffic fine revenue shouldn't be lower for St. Louis than it is elsewhere. "Each municipality is going to have to evaluate how they handle that reduction in general revenue," said executive director Pat Kelly. "The money that they are spending [on city services] is going to have to come from somewhere." The 13,000-person town of St. Ann, where roughly 30% of revenue currently comes from court fines and fees, said the majority of the more than 15,000 tickets issued for traffic offenses and other violations in the last year were largely the result of a state sanctioned crackdown on speeding. This program, which has been winding down recently, covered a quarter mile stretch of a major highway and drastically reduced serious accidents, he said. Since most of the revenue from these fines went right back into paying for the extra enforcement under this program, city administrator Conley said the new bill will have little impact on the town's operations. But without the additional revenue to pay for the increased police presence on the highway, he worries that accidents could rebound. "We can't afford to put our police officers out on the highway and not have the revenue to pay for them," he said. "If accidents go back up, we're going to be yelling, 'I told you so.'" Meanwhile, even supporters of court reform question how widespread and lasting the changes will really be. And with hundreds of thousands of warrants still outstanding, many residents are trapped by their past and continue to be locked up for warrants that stem from old unpaid tickets. Take 27-year-old Marilyn Todd, who is still paying off a $1,200 bill for tickets she got more than a decade ago. Because she had no parents and had to support herself financially, she started driving to hair-styling gigs at the age of 15 -- receiving her first ticket near Ferguson for driving without a license. Marilyn Todd's lawyer, Peter Cohen, walks her through her next court dates. The tickets snowballed from there when she was unable to pay the fines and was afraid to go to court, resulting in additional fines. And the tickets kept coming, in part because her traffic record kept her from getting a valid license when she turned 16. "She will have spent so far 12 years trying to pay a fine and she is not done yet," said Todd's attorney Peter Cohen. "Unfortunately, I see a lot of clients who spend years trying to pay off tickets." Today, she estimates she has already spent between $5,000 and $6,000 on tickets, court costs and attorney fees. She also has been subject to dozens of warrants, despite the fact she pled with each of the towns to help her settle her debts through payment plans or community service. As a result, she's been arrested countless times: her longest stint was two years ago when she spent almost three weeks in jail because of the multiple warrants out for her arrest in Ferguson and other towns. As a single mom, she had to ask her sister to take care of her kids, now 10 and 7 years old, while she sat behind bars. She's currently working with Cohen to become warrant-free and pay off all her debts. But as a nursing student during the day and a low-wage medical worker at night, she doesn't know how she's ever going to move on. And she's worried about her kids falling victim to the same vicious cycle. "My plan is to try to move me and my kids out of here," she said. "I don't want them to go through what I've gone through." Readers: What do you think? Send us your reactions, experiences or other story ideas to investigate here or email us at CNNMoneyInvestigates@cnn.com.